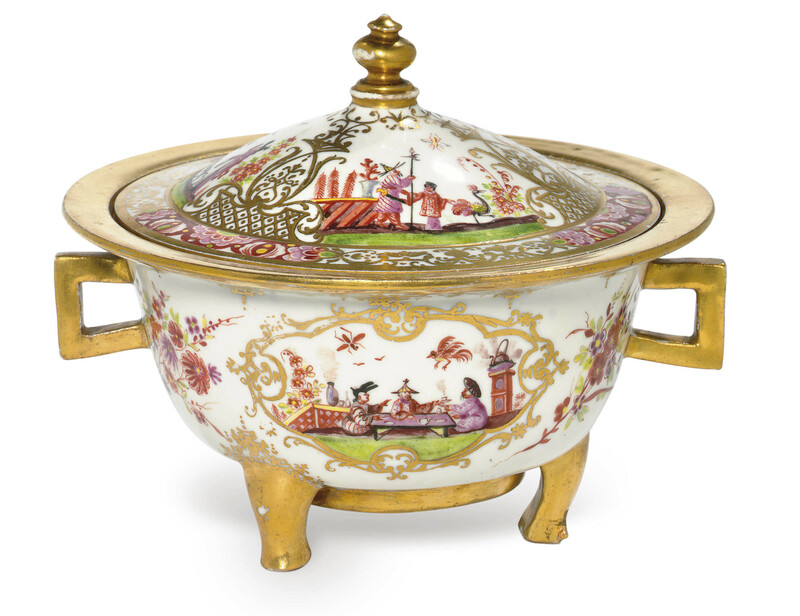 The Property of a Gentleman; Christie's, New York, 18 May 1989, lot 159. See Siegfried Ducret, Meissner Porzellan, vol. I, Braunsweig, 1971, p. 263, pls. 356-357 for similarly decorated pieces attributed to Elizabeth Wald; also Christie's, London, 3 June 1996, lot 467 for a teabowl and saucer painted with Chinoiseries by Elizabeth Wald.